Experience the Diamond Plumbing of Scottsdale difference when it comes to bathroom plumbing services. If you have problems in your bathroom plumbing and need a local plumber you can get in touch with us for assistance. We install and repair bathroom faucets, toilets, and showers. We replace parts. We accept small repair jobs. We also accept projects requiring major renovations and total overhauls. We provide both residential and commercial plumbing services in Scottsdale. Our technicians are fully trained and certified to provide quick and efficient services for your bathroom plumbing needs. We do not hesitate to accept plumbing assignments, no matter how small. We believe that if you do not take care of the tiny plumbing problems, you set yourself up to face big damages sooner or later. If your faucet needs repaired, you can call us for assistance. We will handle the job for you. We suggest that you give us the model and brand of the problematic faucet when you call us for an appointment. The information will help us to readily pinpoint the issue. We can provide the parts that need to be replaced so you get your faucet up and running without delay. Do you want to replace your old busted faucet with a new one? You have several options. Your choice will depend on the factors that you consider important like convenience, ability to conserve water, and price. There are faucets (Grohe comes to mind) which may be more expensive than others because of the quality and brand. We can discuss your available options and make recommendations. We can then install the faucet of your choice. Our technicians are trained to deal with any toilet problem you may have. Some issues may seem minor. If you get the problem addressed right away, however, you are likely to prevent it from turning into a costly and more complicated issue. The toilet does not flush efficiently. The toilet may be clogged. De-clogging may be all that is needed to be done. The water tank does not refill. A valve may need to be repaired or replaced. There is water along the base. The base seal may need to be repaired. Water runs incessantly. The flapper needs to be checked; it may be worn out and need to be replaced. There are indications of corrosion or heavy rust. You may need to replace the tarnished parts. If you notice any of these problems, you can call us to make the necessary inspection right away. 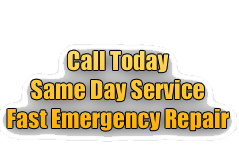 Our plumbing specialists are available 24 hours a day and can provide you immediate services. Our client list includes residential and commercial clients who hire us to upgrade or overhaul their pipes, toilets, and faucets to improve efficiency and reduce water consumption. Installing a toilet requires training. If you want a toilet installed with quick efficiency – and very little guesswork, you have to hire specialists. You need to replace an outmoded toilet that uses up too much water. Such a toilet hikes up your water bill. It is not environment-friendly. It does not help in water conservation. You also need to replace a toilet that needs frequent repairs. A toilet that clogs again and again may also need to be replaced. When you are looking for a new toilet, there are several factor which you may need to consider. Is it affordable? If you have toddlers in the family, does the toilet seat have childproof locks? Is the toilet water-efficient? 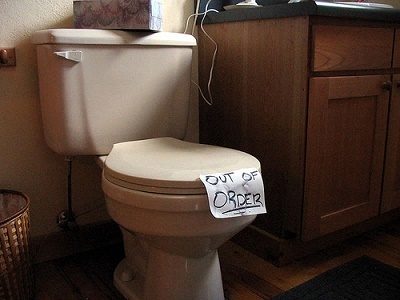 A clogged toilet is not as simple a problem as it may initially appear to be. Calling for professional assistance is a prudent move. Our certified plumbers can help you determine the root of the clogging. The clogging may be a result of a sewer already filled to capacity with water or waste material. The pipes may be clogged with toilet paper or other similar items. The drain may need to be cleared of clogs. Do you need to have a new tub or a new shower installed? We can recommend products that have proven quality. We will use the appropriate system for shower installation so that you are guaranteed a shower that will function efficiently for a long time. 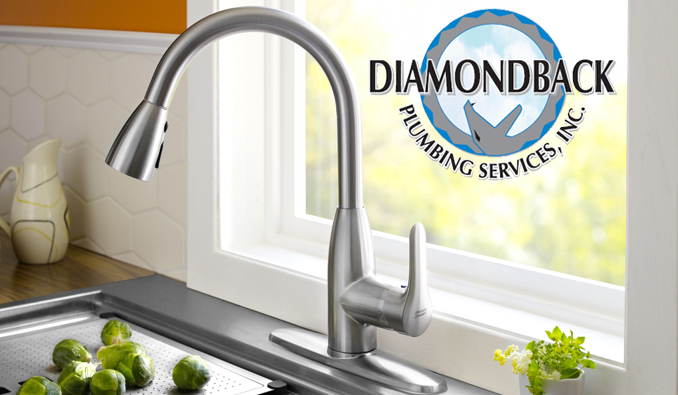 If you need a specialist to service, repair, remodel, or install bathroom plumbing in Scottsdale, get in touch with Diamond Plumbing. We offer high quality plumbing services at an affordable cost. We can discuss what needs to be done. We can then give you an estimate on how much the project will cost you.